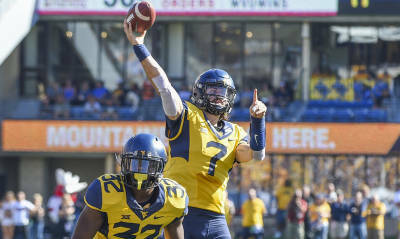 West Virginia quarterback Will Grier was named one of the five finalists for the Johnny Unitas Golden Arm Award for the 2018 season. The selection committee for hte award chooses the nominees based on their performance on and off the field. All candidates must be a senior or fourth year-junior and be on schedule to graduate with their class. The recipient of the 2017 Johnny Unitas Golden Arm Award was Oklahoma State quarterback Mason Rudolph. There have been five winners from the Big 12. Grier would be the first Mountaineer quarterback to bring home the trophy. The 2018 Johnny Unitas Golden Arm Award will be presented in Baltimore, Maryland on Friday, December 7.